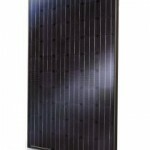 High efficiency solar cells together with high transmission textured glass deliver module efficiency of over 16.0%,leading to minimized installation costs and maximized system output. Product quality is assured through theuse of branded components. Durability assured in even the arshest environments with AMMONIA ORROSION, SALT MIST CORROSION,and FIRE TEST certifications. Certified to withstand increased snow and wind loads of up to 5400Pa.